Now that there are two versions of the film Steel Magnolias, which cast members would make for the most supreme take on the story of the bond between a group of strong Louisiana women? Let’s pit the old vs. new actors against each other! Winner: Sally Field. This is not due to a deficiency in Latifah’s acting, but due to casting in general. I think she’s a little too young to be believable as the no-nonsense matriarch of a large family; plus the role could have benefitted from an actress who had more chemistry with her daughter (see below). Then again, Sally Field’s performance can be a bit cringe-inducing (“I want to know WHHYYYY!! !”) while Queen Latifah’s is not. Winner: Dolly Parton. Jill, who was delightful in the Lifetime version, would have won if she was up against anybody else, but Dolly wins everything every time. Sorry, Jill. Winner: Shirley MacLaine. Alfre was good as Ouiser but a little too young and pretty to play the crotchety character. In the original version of the movie, Ouiser’s more of a comedic character, too, so Woodard had less to work with than did MacLaine. Winner: Neither. Daryl Hannah never made sense to me as Annelle. She was too awkward to be mysterious but too gorgeous to be truly awkward — and I would never let her touch my hair. Adepero was a bit of a cipher in the new version. I feel like we are still waiting for the ideal Annelle to come around. 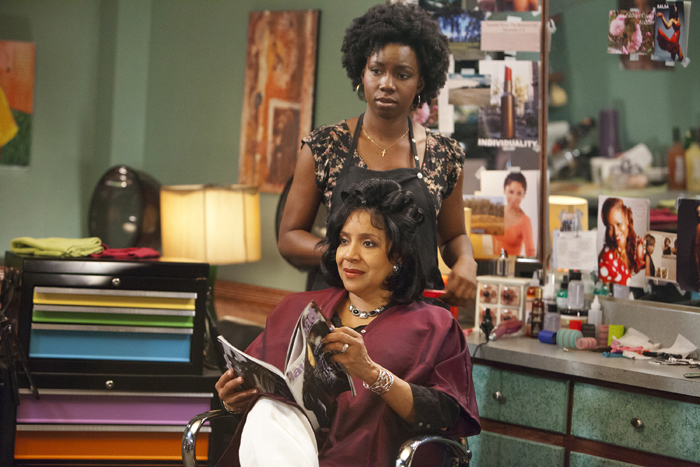 Winner: Phylicia Rashad. This was hard because I love Olympia Dukakis in this role but Rashad just felt more comfortable as Clairee after playing a Clair. It was like the role was always meant for Rashad — beautiful, sophisticated, sassy and wise. I would like to see a spinoff movie where the two Clairees and the two Ouisers hang out together. Winner: Julia Roberts. Hands down. You know how near the end of the movie Annelle says to M’Lynn that Shelby “will always be young . . . will always be beautiful”? That’s how the original Steel Magnolias encases Julia Roberts. She just glows; plus she does a good job getting all weird and ugly during her diabetic spell. Rashad, while lovely, doesn’t have that same quality as an actress. Plus her hair didn’t get nearly as messed up as it should have when she has her insulin fit. Winner: Kittles. McDermott is handsome for miles in the original, but Kittles makes more of the role as Shelby’s husband, especially thanks to a nice scene he has with M’Lynn in which he expresses regret for not protecting Shelby against her own strongheadedness. Winner: Gross. No offense to O’Connor but it always bothered me that Annelle (especially as played by Hannah) ended up with such a pale, strange-looking guy in a town of otherwise good-looking people. Gross is pretty damn easy on the eyes. My only complaint is that he wasn’t in the Lifetime version enough.